I’ve described what’s on and around Bois Blanc Island, but what do we actually do there? A typical day starts with my wife and I waking up in the Pines Cottage at 8:30. We sleep that late partially due to a three hour jet lag, but mostly because vacations are created for sleeping in. In the morning we turn on the space heater in the living room (I’m bad at lighting fires in the fireplace) before doing some activities in no particular order. 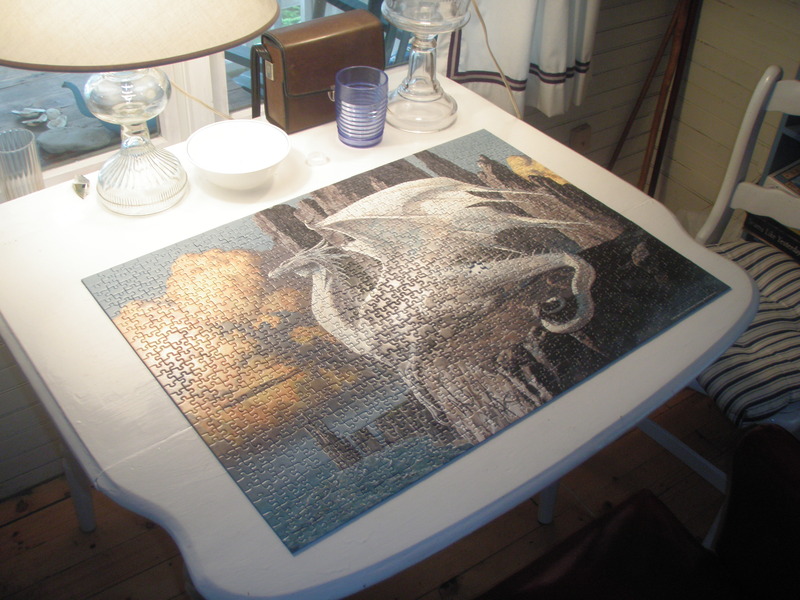 We shower, eat breakfast, work on a 1000 piece puzzle of a dragon on a cliff, read, write, and play on my wife’s iPhone with limited internet access. We finished! One piece was missing. Probably stolen by our cat before we brought the puzzle to Bois Blanc. At the end of the morning we eat lunch before calling my relatives on the West End to figure out dinner plans. My wife is a vegetarian. If meat is in the main dish we have to make sure she has something else to eat. After calling ahead we pack up what we need for the day and go over to the West End. When we arrive at the West End we put away any food we brought that requires refrigeration before starting another group of activities in no particular order. We read, write, wade in the water, kayak, watch my cousin and his friend from Montana windsurf, go on a walk, bike, work on a 500 piece puzzle of a pile of beach glass, eat snacks, play board and card games, and chat with my relatives. 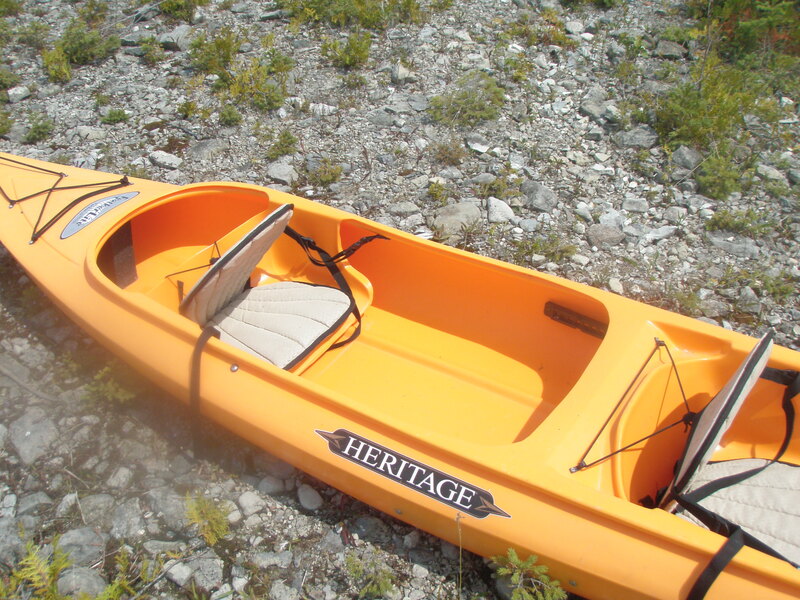 This kayak is FILLED with invisible spiders. 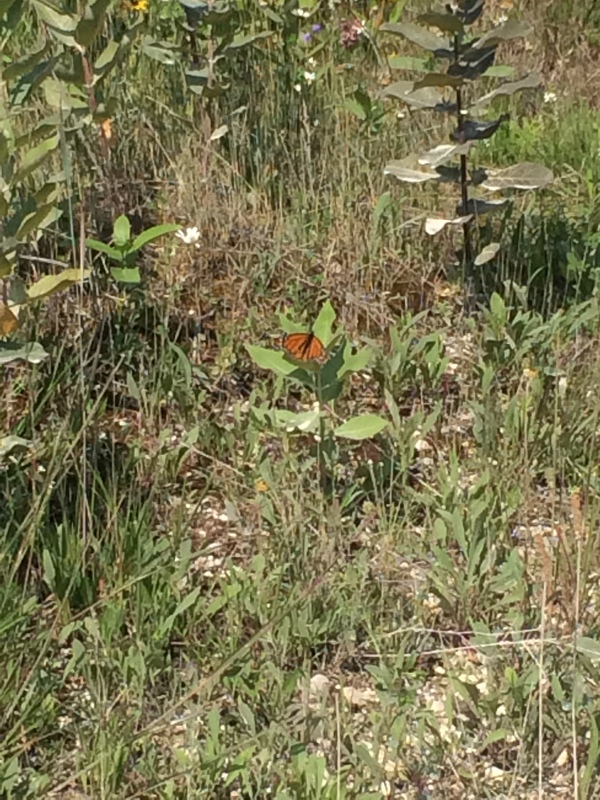 Bois Blanc has butterflies too! Take that Butterfly House! 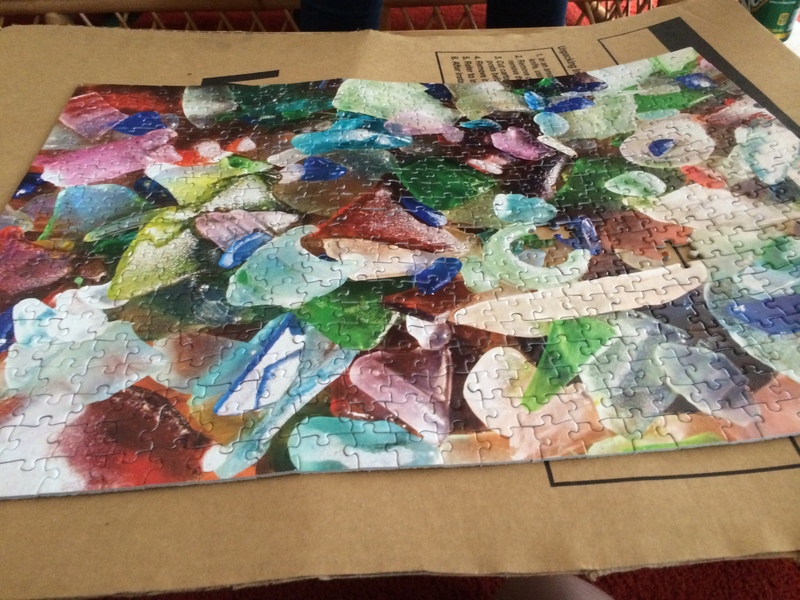 There were two missing pieces that we found later on. We don’t do all those things in one day, but we managed to do them all in the week we were on Bois Blanc Island. Around 5 or 5:30 we go over to the New Cottage for drinks with my grandparents, drinks being anything from vodka to diet soda. We talk with them or they talk around us about people all my aunts know but I’ve never met. Half an hour later dinner is served and we gather around a big table or two tables if one isn’t enough. We eat dinner and dessert if there is any. After dinner we do a few more of the afternoon activities with the additional options of watching the sunset over Round Island at 9:15, or starting a fire in the fireplace or on the beach. First time messing with my wife’s panorama option on her iPhone. 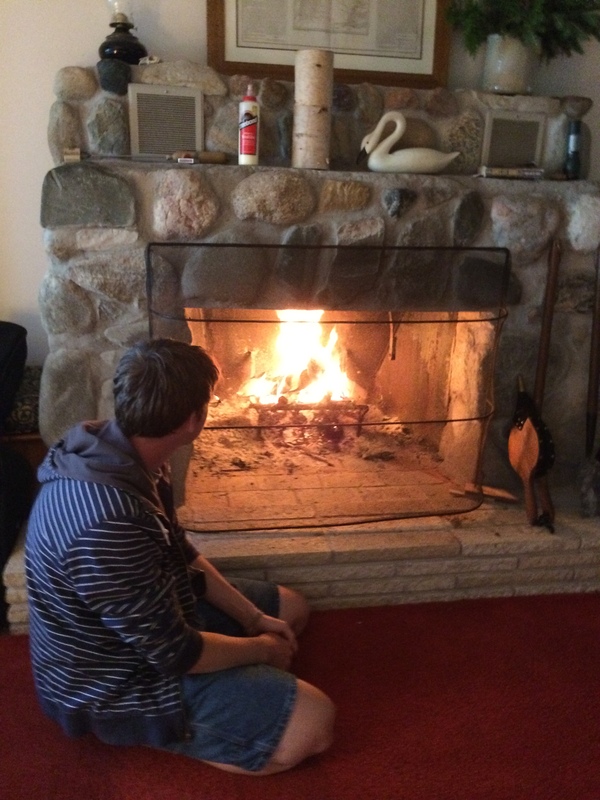 I made the fire with my uncle’s help. Maybe I can eventually make a fire without help. Then we pack up our stuff and dodge deer on the drive back to the Pines Cottage. At the Pines we read, write, work on the dragon puzzle, and eat a few snacks before going to bed around 11. Then we do it all again!